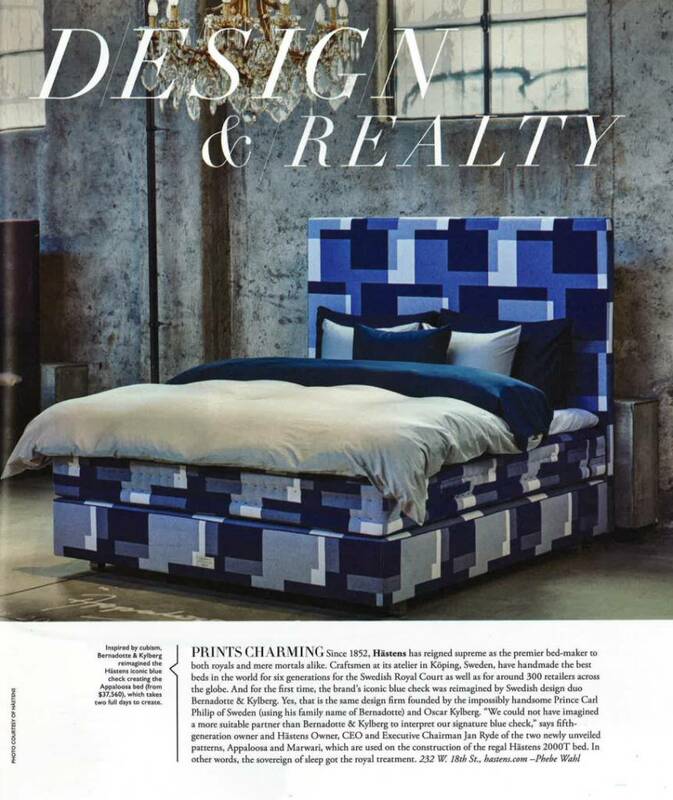 As seen featured in Manhattan Modern Luxury magazine, the new Limited-Edition fabrics from Hastens are turning heads! When internationally renowned Swedish designers, Bernadotte & Kylberg were charged with putting their spin on the signature Hastens blue check for a special, Limited-Edition run, they certainly ran with the opportunity, creating two distinctive new looks for the world's most coveted mattress. What you seen in the photo is the fabric 'Appaloosa,' a vibrant and active blend of blue squares, breaking free of the classic check we know and love. Their other new Hastens fabric, 'Marwari' takes the look in another direction; dark, earthy and rich browns blend in a subtle woven texture. 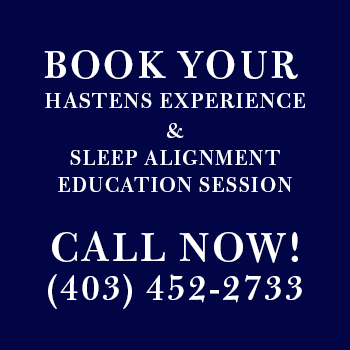 What do you prefer for your new Hastens mattress? Will it be the limited-edition creation, or the classic check?